The Reverend Daniel Nuzum, whole-time chaplain at Cork University Hospital/Cork University Maternity Hospital, as well as Marymount Hospice in Cork, recently travelled as part of a team to make presentations at, and participate, in the 2012 International Conference on Stillbirth, SIDS and Infant Survival in Baltimore, USA. Daniel travelled with Dr. Keelin O’Donoghue and members of the Pregnancy Loss team from CUH/CUMH. The group presented seven posters, and gave three oral presentations. Daniel was awarded the Best Oral Presentation of the meeting for his talk entitled: Spiritual and Pastoral Care following Stillbirth: A Review of Services in Ireland. 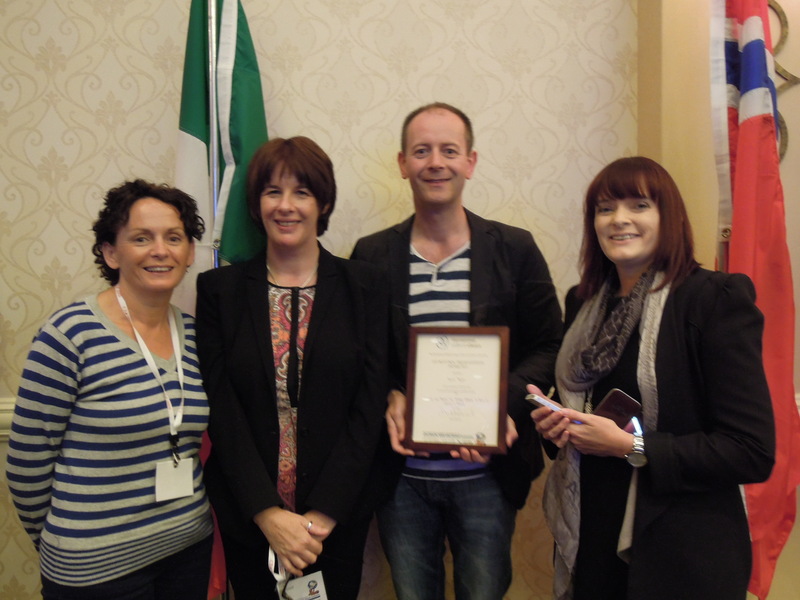 Pictured following presentation of ‘Best Oral Presentation’ award to Daniel Nuzum at the International Stillbirth Alliance Conference held 4-7 October in Baltimore, USA. L-R: Anna Maria Verling and Orla O’Connell Bereavement and Loss Specialist Midwives CUMH, Daniel Nuzum and Dr Keelin O’Donoghue Consultant Obstetrician & Gynaecologist, Senior Lecturer, Dept of Obstetrics and Gynaecology, UCC & CUMH. This entry was posted in Chaplaincies, Clergy, Community Involvement. Bookmark the permalink.